CFB Esquimalt is located primarily in Esquimalt, a municipality in Greater Victoria. 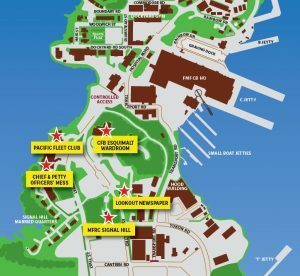 Here, there’s the Dockyard which is home to the West Coast Fleet, and all the maintenance, repair and supply facilities. 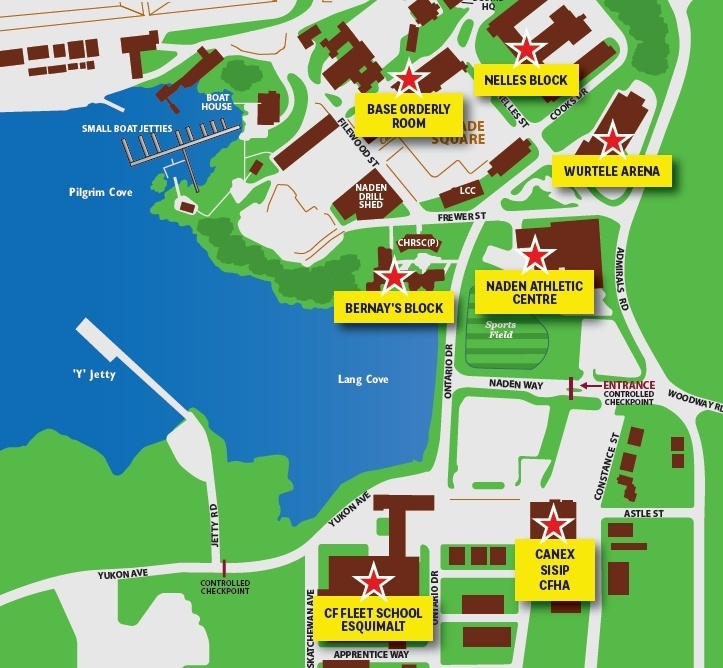 Close by is Naden where you can find the CF Fleet School (CFFSE), the Naden Athletic Centre and Wurtele Arena. Work Point is the home of the Naval Officers Training Centre and Pacific Regional Cadets Support Centre. 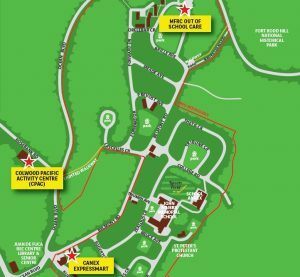 It is also the location of the second largest community of Residential Housing Units (RHUs). 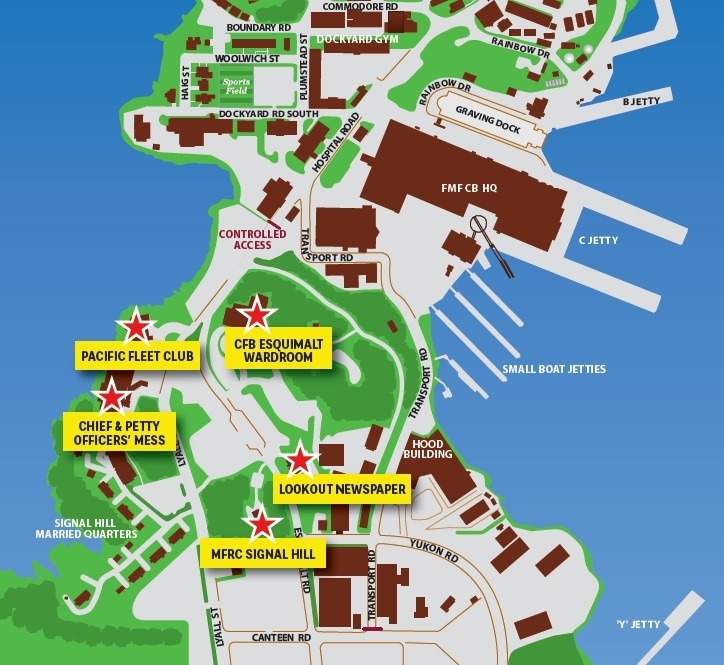 Signal Hill MFRC is the only MFRC office in Esquimalt and is the closest MFRC office to Dockyard. Colwood is on the western side of Esquimalt Harbour and the location of many other parts of CFB Esquimalt. Colwood is the site of a Nuclear, Biological, and Chemical Warfare School, a Damage Control Training Facility (DCTF) Galiano, a fuel depot, a supply depot and the Fleet Diving Unit (Pacific). 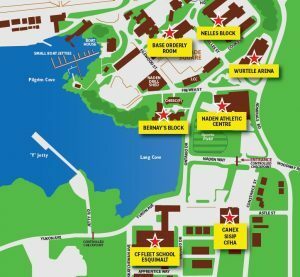 An important part of Colwood is Belmont Park, the primary military housing area (RHUs) for those posted to CFB Esquimalt. 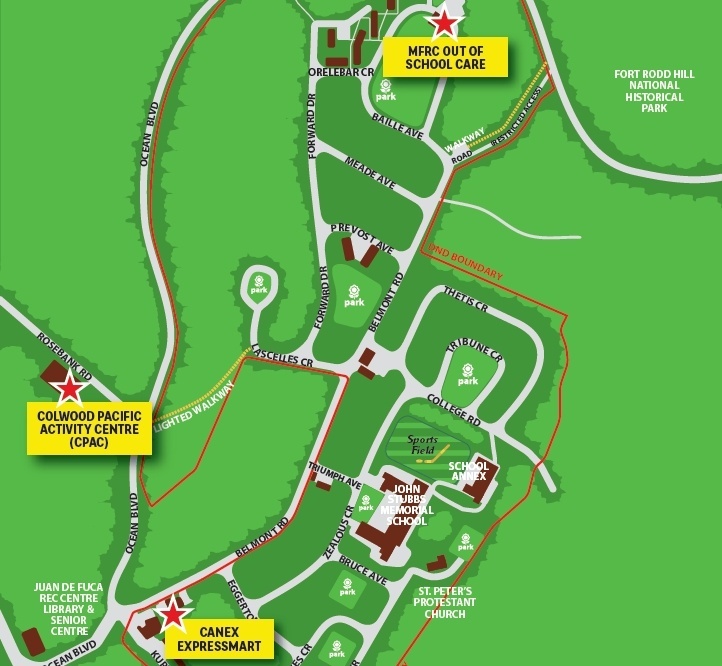 The Colwood Pacific Activity Centre – shared by the MFRC and Personnel Support Programs (PSP) – is situated close to Belmont Park. One of the larger units outside of the Victoria area, located west of Sidney and north of Victoria, employing approximately 240 members is the 443 Maritime Helicopter Squadron. Southwest of Victoria along the coast is Albert Head and Mary Hill. These are both training areas used by both Regular and Reserve units. Rocky Point is the site for the west coast Ammunition Depot, located on an isolated triangular peninsula between Becher Bay and Pedder Bay. A two-hour drive north of Victoria is the Nanaimo 748 Communications Squadron and the Nanaimo Rifle Range. Both are detachments of CFB Esquimalt. The furthest unit away from Victoria is Nanoose, located approximately 130 km north of Esquimalt and 25 km northwest of Nanaimo. 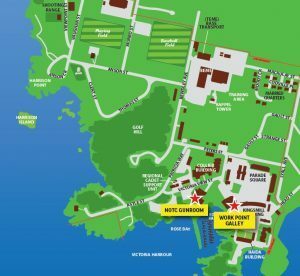 View a gallery of maps for CFB Esquimalt. Find a place to live in Greater Victoria.